For the last 10 years, MacTrack Legal has been the best conference for lawyers who are looking to use technology to help grow their practice. This year is no exception and may be the best year yet with our CEO, speaking about how we’ve overcome the challenges of transitioning to working remote. With the internet being accessible just about everywhere you go, and tools that centralize communications and your business data like Slack, Confluence and Daylite, remote work is a growing trend for companies worldwide. And the benefits are clear for both employees and employers. Remote businesses save money on things like renting large offices and increases their talent pool. Employees are more productive and happier. But it isn’t all sunshine and daisies. Remote work comes with its own set of risks and challenges, but if you overcome them you can reap the remote work rewards. It’s no secret that Marketcircle has been working on overcoming these challenges, and we are getting better at it every day. 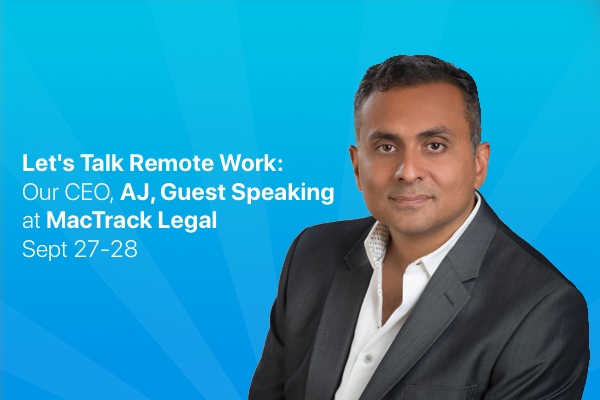 If you’re interested in becoming a remote office or have already started, come and hear AJ share our struggles, what we learned, and what processes and tools we changed to these new challenges at MacTrack Legal September 27-29, 2018 in Orlando Florida. We genuinely believe that small businesses can change the world and more than anything else we want to help companies do precisely that. Remote work is a new and growing trend that we believe can transform how you do business. We hope AJ inspires you to take the leap into remote work and find solutions to problems along that journey. Thinking of attending MacTrack Legal but not sure what to expect? Find out Why Steve Senentz Keeps Coming Back To MacTrack Legal and see how this community can change your practice for the better. Get tips for your business delivered right to your inbox. Don't miss out! Sign up and get tips for your business delivered right to your inbox. ©2019 Marketcircle Inc. All rights reserved.